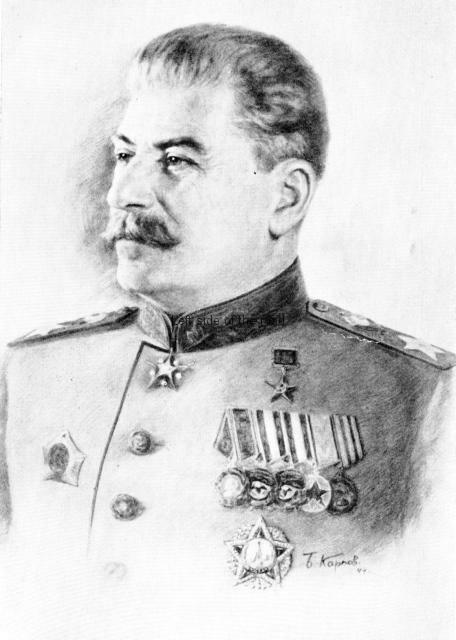 Joseph Vissirionovich Stalin (Djugashvili – his family name) is a controversial figure to say the least. From the time he became the leader of both the Russian Communist Party (Bolshevik) in 1924, after the untimely death of the great Vladimir Ilyich Lenin (prematurely as a consequence of an assassination attempt in 1918) he has been vilified and denigrated by all those who seek to maintain the status quo of exploitation and oppression and the control of everything by a small minority. In 1939 Chairman Mao wrote a short pamphlet entitled To be attacked by the enemy is not a bad thing but a good thing. The Chairman has also been subject to vicious slanders and calumnies, in the same way as ‘Uncle Joe’ before him. But we have only to look at those throwing the insults to consider that we should take a step back and not just follow the mindless herd. 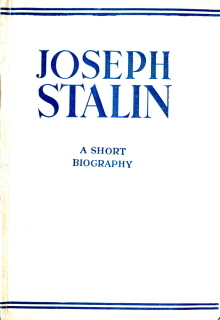 What follows is a selection of biographies (mostly) from a ‘pro-Stalin’ stance. I make no excuse about only including those which stress the positive aspects of Comrade Stalin’s time as not only leader of the Soviet Union (and its Communist Party) but also – until the end of World War II and the success of the Marxist-Leninist led Liberation movements in Albania and China – the leader of the International Communist Movement. If you want ‘the opposing view’ just open a newspaper (analogue or digital); turn on a radio or TV; open a book by the sycophantic and toadying authors whose mission is to create confusion and discord based upon shallow and doubtful ‘scholarship’; or (perhaps frighteningly so) listen to any of the politicians in what used to be socialist countries as they push anyone else away as they seek to get as deep as possible up the fundament of capitalism. 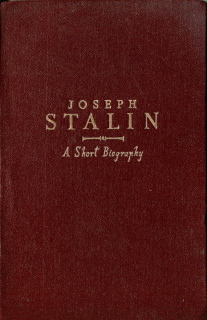 As such opposition to Stalin is so ubiquitous – and as (in the capitalist west, especially the UK with its lauded BBC with its remarkably prejudiced ‘impartiality’) you are supposed to look at both sides of the argument you will better spend your time downloading and reading some of the biographies made available here. 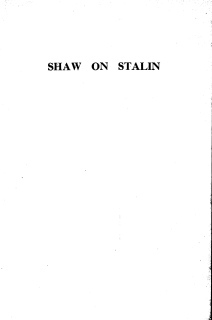 The first ‘official’ (so far as I’ve encountered – at least in English) biography of Stalin, produced by the Marx-Engels-Lenin Institute in Moscow and published in translation in London in 1940 – before the Soviet union was considered an ally of the UK in the war against Hitlerite Fascism. Reminiscences of the role that JV Stalin played in the Russian Civil War (and the War in Intervention by the capitalist powers) between 1918-1922. Written by one of those who fought at his side. 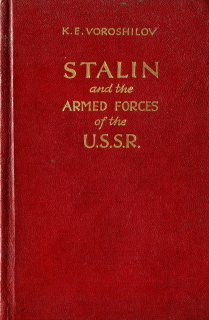 Again published just before the invasion of the Soviet Union by the Hitlerite forces of Fascism. 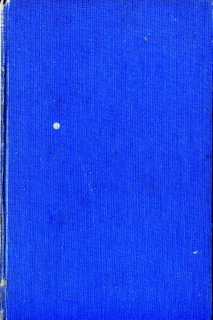 A revised version of the 1941 biography published by the Marx-Engels-Lenin Institute and printed in London. This time a version printed in Moscow in 1942 – after the invasion by the Hitlerite Fascists. A biography written after the Hitlerite Fascist invasion of the Soviet Union just after the tide was beginning to turn against the invaders. A general look at the life of the Soviet leader. I can find no information about the author. 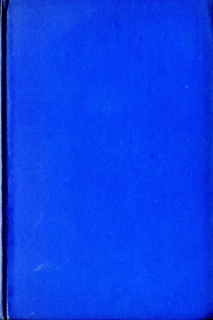 A biography first published by the Foreign Languages Publishing House in Moscow in 1940 but which was reprinted in London as the interest in the background of the principle ally in the fight against Hitlerite Fascism grew after the invasion of the Soviet Union by the Nazi forces in June 1941. Yemelyan Yaroslavsky was a historian as well as a member of the Central Committee of the RCP from 1919. He was involved in the publication of a number of historical works of the Soviet Union – including the Civil War. 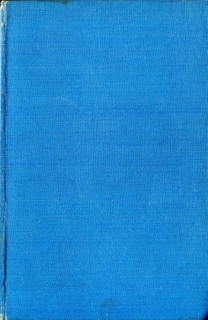 A biography written by a member of the Communist Party of Great (sic) Britain in 1945 after the Liberation of the country from Nazi Fascism in the Great Patriotic War. Murphy seemed to have quite personal access to Stalin at the time of his visits to the Soviet Union. 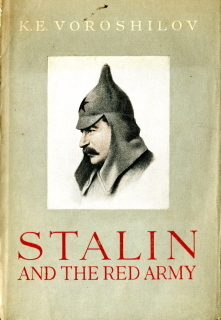 THE official biography of Stalin. 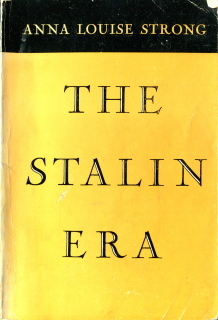 Published in 1949, well after the defeat of Fascism, it was the last biography to be produced before the revisionist denunciation of Stalin (and consequently Lenin and all that the Revolution of 1917 meant for the workers and peasants of the world). 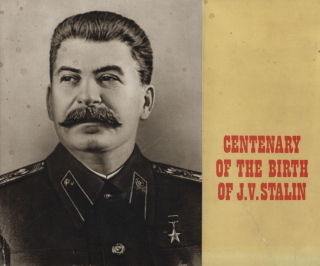 A series of three articles written by Kliment Voroshilov on the 59th, 60th and 70th anniversary of the birth of Comrade Joseph Stalin. 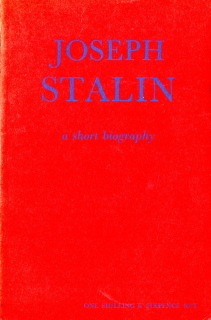 Different from the other biographies that concentrate on the political situation in which Stalin lived. This is the reminiscences of a nephew who talks about Stalin and his relationships with his family – including Stalin’s three wives. A photographic history of JV Stalin, including some rarely seen photos. 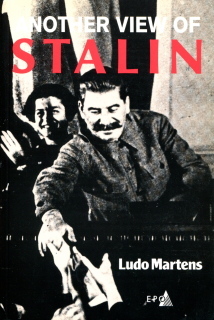 Published in Tirana, Albania and with an emphasis on the importance Stalin played in the Liberation of the country and in the building of Socialism. 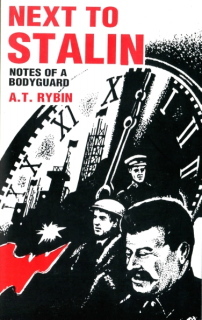 Memoirs of a soldier who became one of Stalin’s bodyguards in 1931 until his death in 1953. 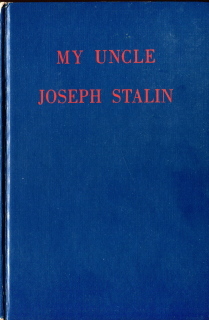 An analysis, and refutation, of the lies that have been perpetuated over the decades to vilify JV Stalin, not only to demonise the man himself but to place doubts in the minds of workers and peasants throughout the world that the solution to their problems is the building of Communism through the means of a revolutionary change of society.